The end of year awards were presented at the DDAFL agm which was held on Sunday 8th June 2014. It is with great sadness that I have to report that Graham Harkness, President of the Scottish Amateur Association passed away suddenly on Thurstday 29th August. 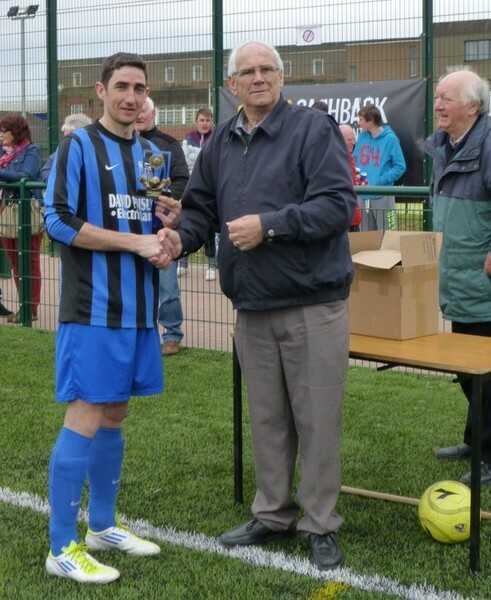 Locally Graham will be remembered by all in his role as the General and Match Secretary of the Dumfries Sunday League. Graham was the guiding force in the DSAFL for many years and the current strength of the league is a testament to all of Graham's hard work. Graham has also helped the Youth League in improving their organisation and has always been available for advice and guidance. In recent tiems Graham has held the top position in the SAFA. Driving the association forward in streamlining and modernisation. This was not always easy but Graham's strenghth of character helped drive forwards many changes. Our thoughts are with Graham's family in these sad times. Graham's funeral took place on Monday 9th September at the Crichton Church and it was very well attended with many of his friends and family in attendance as well as a large group from the SAFA travelling down to pay their resects. Lochar have moved to pastures new and have joined the South League in time for the 2013-14 season after over 40 years in the DDAFL. 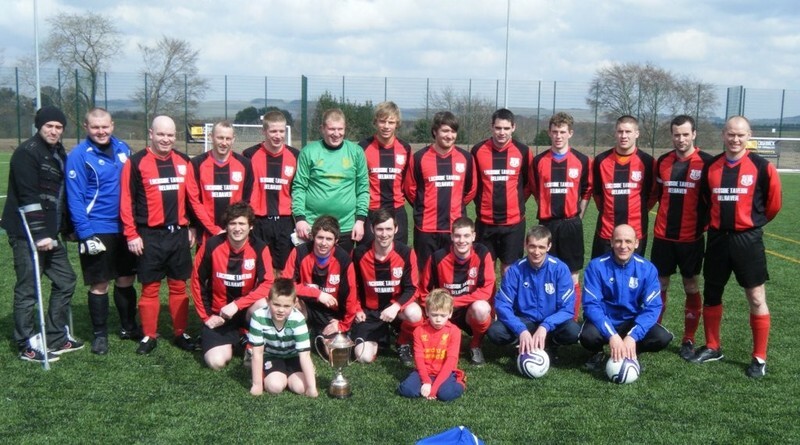 Lochmaben secure league title after a 7 year wait. 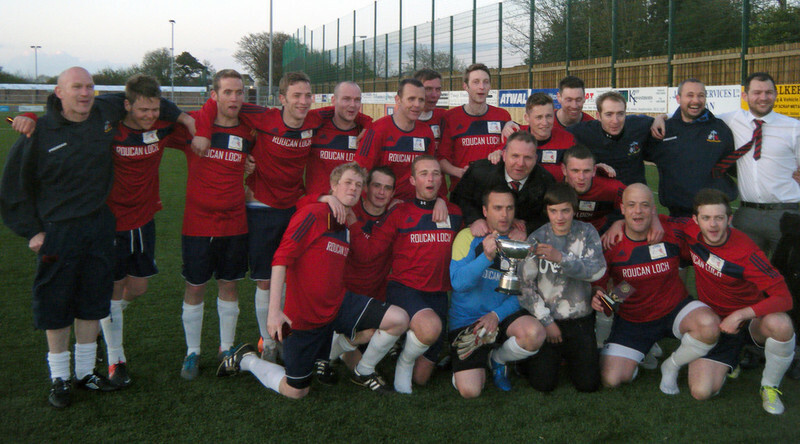 Lochmaben topped off a great season by winning the DDAFL league title. The club who have been runners up for each of the last 4 seasons overcame a strong Lochar Thistle challenge to finish top of the table. 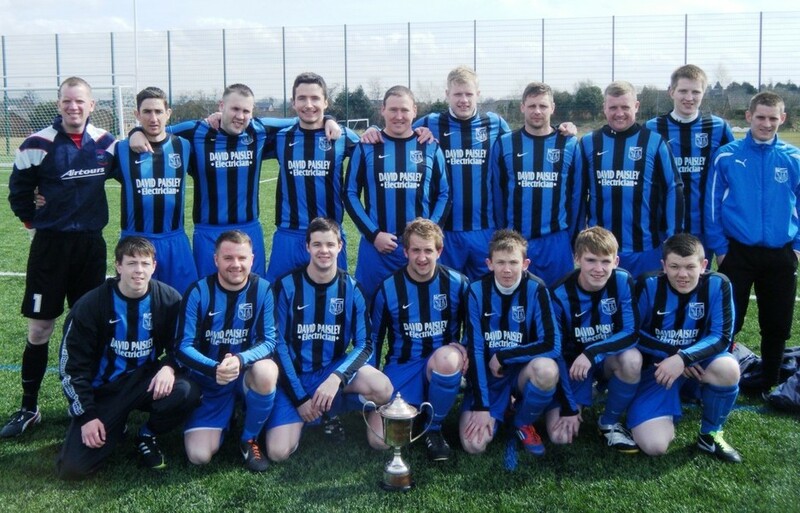 In addition Lochmaben have added several more cups this season to increase their imfressive trophy haul in recent seasons. AnnanTown put aside their disappointment of losing out in the promotion playoff with a well deserved win Houliston Cup win against Normandy Star at the 3G. Three nil up at half-time Annan added three late goals to kill off a Normandy fightback in the second half. 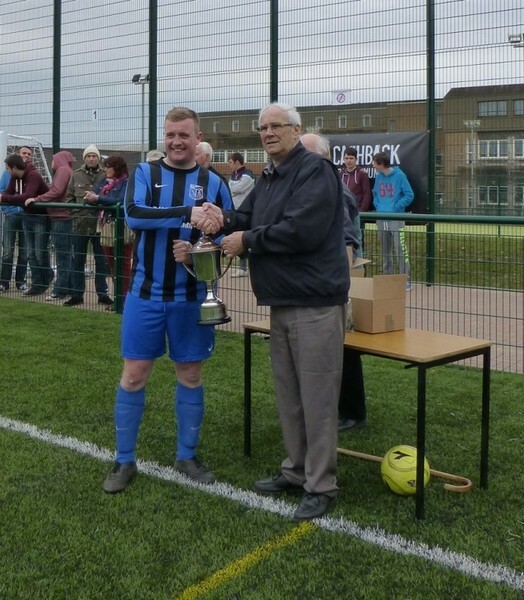 Morton Thistle made it two trophies in two years when they defeated Upper Annandale 3-2 in the Colin's Carpets sponsored British Legion Cup on the 3G at Galabank on Friday night. Upper Annandale’s cup hoodoo struck again on Friday night when they were beaten by Morton Thistle in the final of the British Legion Cup. This was the ninth consecutive final that the Moffat club had lost. What makes it even stranger is that, before their losing streak, they were winning everything in sight. In their first final this season back in March, they deserved better than defeat by Lochmaben but on Friday, they took a two goal lead before Morton Thistle roared back to earn an excellent 3-2 win in an exciting encounter at Galabank. Uppers led through two goals by the ever-dangerous Ian Roddick only for Morton to pull one back just before half-time. A penalty early in the second half saw the sides all square, and, even though Morton then had a man sent off, it was they who grabbed what proved to be the winner with a fine goal fifteen minutes from time. Graham Kilpatrick scored their first two and Dale Talaszko the winner. The trophies were handed over by young Aiden McBurnie, son of the sponsor Colin McBurnie of Colin’s Carpets. Aiden adjudged Neil Sturrock to be a deserving Man of the Match. Thanks go from the league to both Colin and Annan Athletic, who hosted the game and provided excellent hospitality. 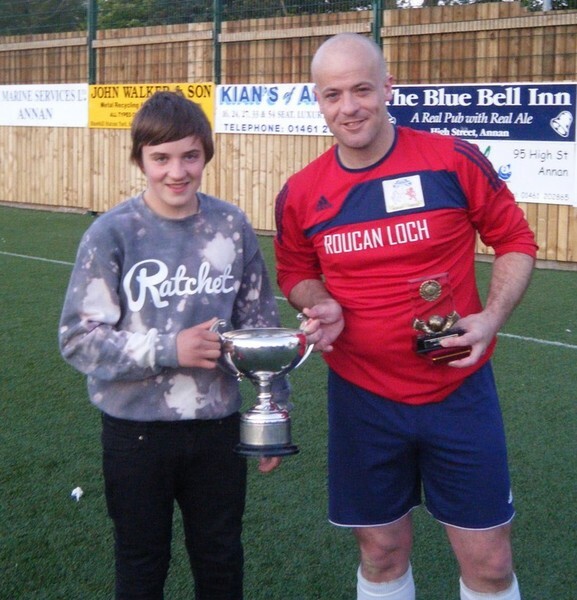 On Saturday, Lochmaben picked up their second trophy of the season, beating Terregles Athletic 2-0 in the final of the Nivison Cup which was sponsored by Let’s get Sporty. While it wasn’t a great match, it was always competitive and Terregles were in with a real chance until eight minutes from time when Cammy Thorburn drove home a free kick from twenty two yards. The first real opportunity fell to Terregles but Willie Beattie was thwarted by a good save by Craig Scobie. On fourteen minutes, Laurie Maxwell’s cross was volleyed in by Dougie McRobert to give Lochmaben the lead. Craig Irving hit the bar as Lochmaben generally held the upper hand. There were few chances in a very even second half. John Howie and Jordan Nish combined well to set up Terregles’ best chance but no goals came till Cammy’s late strike. The council have earmarked £200,00 for drainage remediation at several parks in the region. The first football parks to benefit from this will be the Holm Park, Troqueer. The pitches will be decommissioned in April 2013 for a period of around 18 months during which time drainage works will take place. The end result will be 4 pitches of equal size that will have been repositioned and flattened. All the pitches will have to have the grass re-sewn so hence the longer out of service period. This is good news for both leagues as we depend on the Holm Park to maximise our fixture capability every week. DDAFL Chairman Maurice Sproat recieves cheque from British Legion Cup sponsor Colin McBurnie of Colin's Carpets which located on the Annan Road in Dumfries. Colin has been a supporter of the league for many years and has sponsored the McCall Cup in the past as well as his association with the British Legion Cup in recent years.